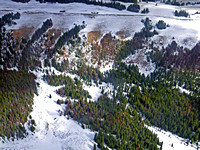 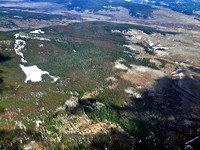 Description: EcoFlight’s 2009 Flight Across America Student Program studied the pine beetle infestation occurring in the Rocky Mountain region, specifically in Colorado and Wyoming. 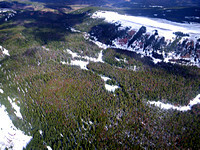 Multiple flights took local high school students, educators and members of the press to observe the issue from the air. 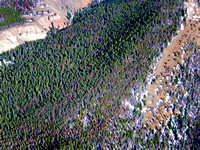 Full student seminars on the pine beetle topic were held in Colorado and Wyoming. 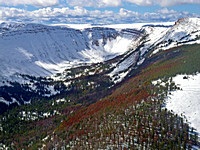 In addition, three high school students from Colorado were selected to accompany EcoFlight to Jackson, Wyoming and the Teton Science School, to study the white bark pine beetle infestation in the Greater Yellowstone Ecosystem. 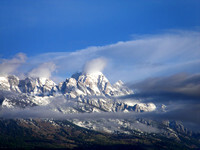 Watch a short film about our 2009 Flight Across America Student Program!